A classic with a new twist. 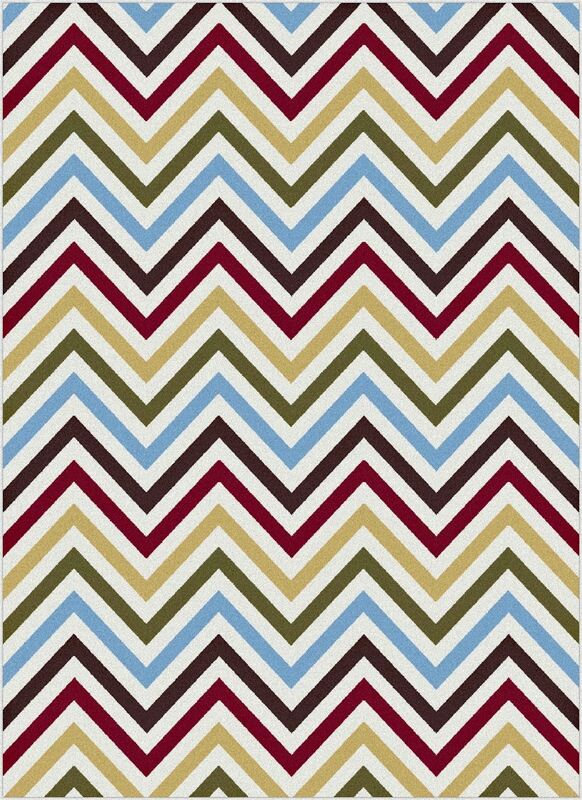 This chevron-patterned contemporary home decor accent frieze rug enlivens a room with clean lines and crisp color on a white background. Multicolored hues of garnet red, soft topaz yellow, emerald green, zircon blue and sable brown. Perfect for adding an upbeat accent to your home decor. 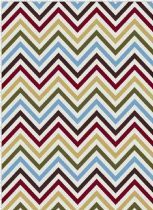 Well-crafted with a 0.39-inch pile height, this high-quality rug also offers comfort and durability. Plush feel, high density polypropylene fibers made with quality construction to ensure long wear. Spot clean.